The entire line of Omnitronix Transmitters is competitively priced, highly efficient, and unparalleled in reliability. 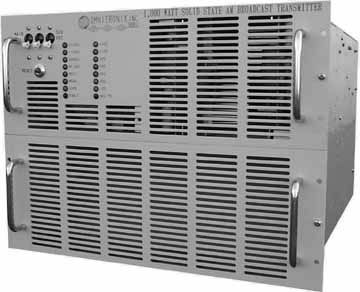 These 100% solid state transmitters use proven pulse duration modulation (PDM) technology to provide exceptionally efficient broadcast operation. The upper 7 inch high panel contains the exciter, power amplifier and combiner. The isolation transformer and harmonic filter are contained in the lower 7 inch high panel.